Stoner Six » Blog Archive » gotta love her! “I went to Nordstrom to have one last shot at buying something that I felt more comfortable in for the wedding this weekend. I found a very nice jacket (what else is new). Stark white, shiny sort of silky with ribbon trim, rhinestone buttons. Very fresh looking so I took Julie from ‘Find Me’s’ advice and decided to wear black and white. I have the black pants. Well, I head to the dressing room for a dry run. I couldn’t get this stuff past my knees. This darling girl is asking how’s it going and I am literally in a sweat and breathing hard because I can’t pull them up. Plus my thumbs start to hurt. She says, “You know, when you get them on you should try sitting down and standing up again just to see how you like them”. My mother is Aunt Nine and she truly was the best woman in the world. This email will definitely remain close to my heart as it really defines what type of lady she was. I miss her terribly! The posts on your blog about my mom have been terrific! 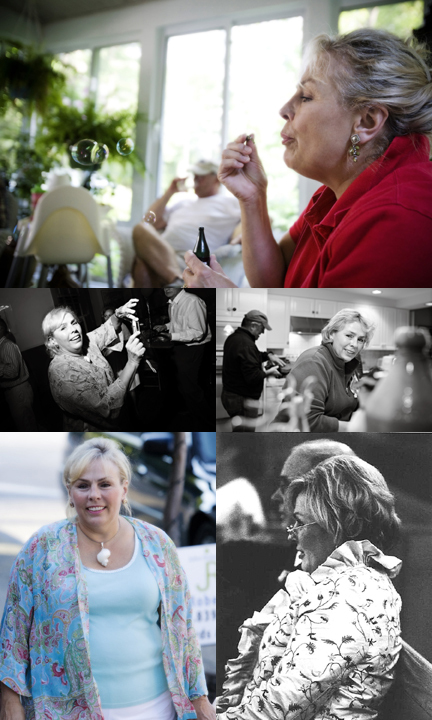 Thanks… She was truly amazing in every sense of the word. Suzy and Betsy-I have been thinking about you guys so much. Your story really echoes mine and I hope to make contact with you both soon. Just to give you some hope in what feels like a hopeless, grief filled situation. I feel like I know both of you so well through Tiffany. 1. I love your aunt. She sounds like a funny fabulous lady. I LOVE the Spanx story. For those of us with a little (OR A LOT) of extra junk in the trunk and elsewhere, WE KNOW!!!!! I’m sorry you lost her. 2. You are a great writer. I love reading your entries. You have a true gift and when your kids are older, they will LOVE you for keeping their memories for them. 3. You keep me positive about having a crazy life. Whenever I feel overwhelmed with two babies…….I remind myself that Tiffany did it with 4 while her husband was in Iraq. 4. Even though we only run into each other every few years, I feel like I’ve really gotten to know you through your blogs. I just wanted to let you know I am keeping up with you and your family. I wish you the best and I will keep on reading as long as you keep on writing! P.S. Tell Tim I said “HI”! !